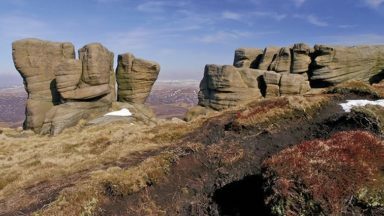 This guide to walking the southern dales of the White Peak area of the Peak District National Park, between Ashbourne, Matlock, Buxton and Leek. 30 easy circular routes cross the high plateau and visit the dales, following the Dove, Manifold and Hamps rivers. One of two Cicerone guides to the White Peak. The exquisite beauty of this landscape is fringed by and adorned with a multitude of wild flowers in spring and summer. Although modern clothing and equipment enable you to experience the thrill of wilder weather, responsible walker should seek to minimise their impact especially on heavily worn paths in the wetter seasons. Castleton, Hope, Bradwell, Hathersage, Baslow, Tideswell, Bakewell, Buxton, Monyash, Youlgrave, Winster, Matlock Spa and Cromford. easy, circular walks on good paths, well waymarked, between 3 and 10 miles long, easy to combine into longer routes - simple country walking with the odd citrus twist in the limestone dales! Modern walking boots will give good protection in such stony situations and walking poles lend reassurance in descent. 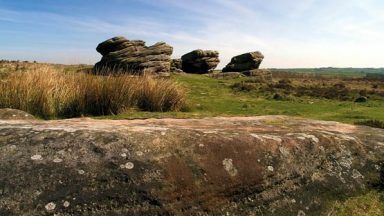 This guide explores the southern dales of the White Peak area of the Peak District National Park in Staffordshire and Derbyshire. 30 walks are included in this guide, between 3 and 9 miles long. From the grounds of Ilam Hall, down through the old railway trackbed of Manifold Trail and such sights as Thor's Cave along the route, the southern section of the White Peak offers variety and beauty and is waiting to be explored. 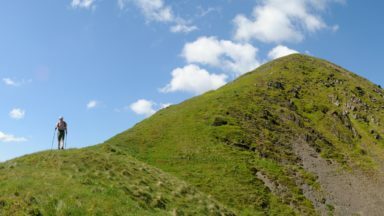 This guide covers the southern section of the White Peak, divided from the northern by the High Peak Trail between Buxton and the Cromford Canal near Matlock. 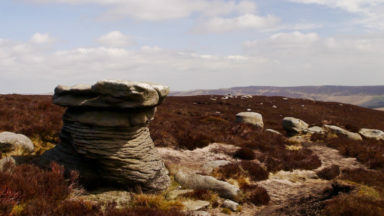 The guide not only provides clear route descriptions for all 30 walks, but practical information on transport to and around the area, history of the region and information on the Peak District National Park. The guide helps change a simple walk into a memorable one, with insights into the places and sights of interest along the way. The companion guide to this book is the White Peak Walks: The Northern Dales. 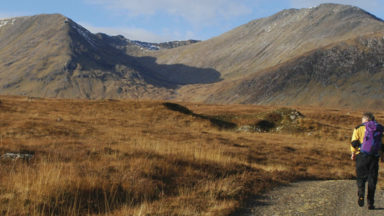 The guide’s vignette extracts from the Ordnance Survey maps are included to give readers a feel for the overall course of each walk, but they are no substitute for carrying and frequently referring to the relevant OS Explorer map – OL24 covers this volume. The aim of this guide is to help you structure your exploration of the White Peak. Once into the swing of White Peak wandering you will start to see your own logical pattern and adapt the walks to suit your own objectives and this is as it should be. There are also converted railway trackbed trails (for walkers, cyclists and horse-riders) and several specifically waymarked trans-Park trails which, with the help of public transport, may lead you to construct elongated routes of your own – linking A with B to see for yourself! Wanting to give an in depth summary of the White Peak Walks guides, I got on the web one rainy Saturday and did some research. Cicerone, ‘a British Publisher specialising in guidebooks from walkers, climbers and cyclists...’ Great, a British concern. Good on ‘em. The next info to be gathered was on the author. Mark Richards. 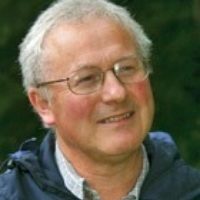 He’s a Lakeland man, keen walker, photographer and even has his own slot on BBC radio Cumbria, talking about fellwalking. As seems to be universal with these guides, the layout is slick, presentation immaculate and book’s structure solid enough to stick in your sack. The routes are quite chilled out affairs, up to 16km across mostly undulating countryside. If you’re in a similar position to me, needing to take the nipper out to give mum a rest, or entertaining city slicker friends, these are perfect.